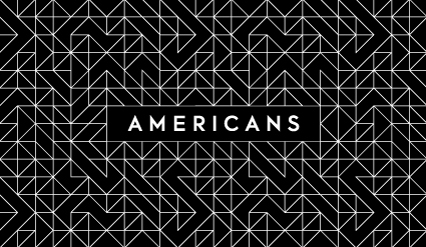 American Indian images, names, and stories infuse American history and contemporary life. Pervasive, powerful, at times demeaning, the images, names, and stories reveal how Indians have been embedded in unexpected ways in the history, pop culture, and identity of the United States. 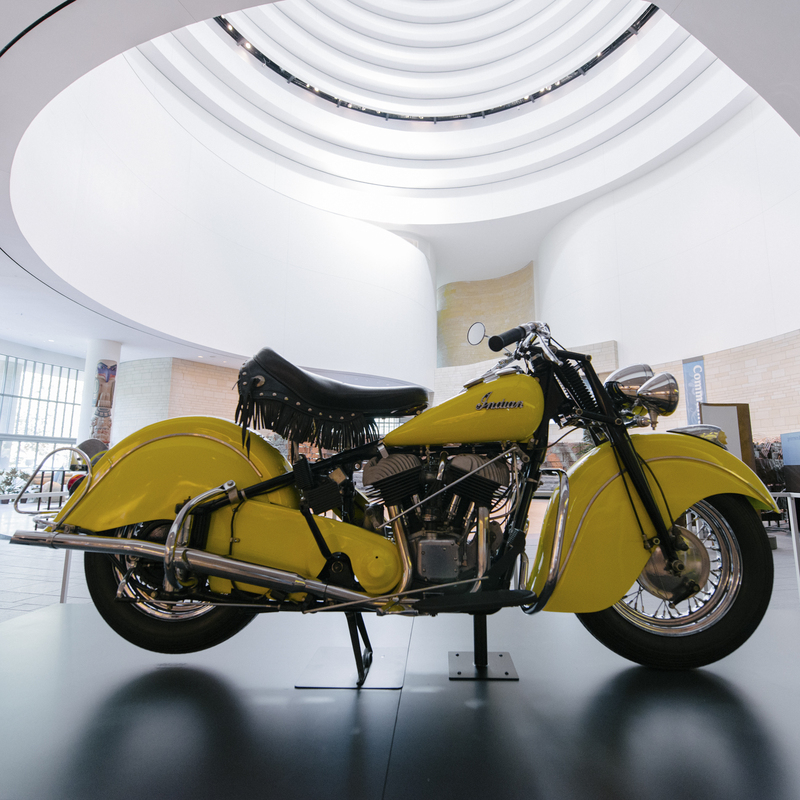 Considered the most stylish of mass-produced motorcycle models, this 1948 Indian Chief is now on view in the museum’s Potomac Atrium. It will take up long-term residence on the Third Level when Americans opens this fall. 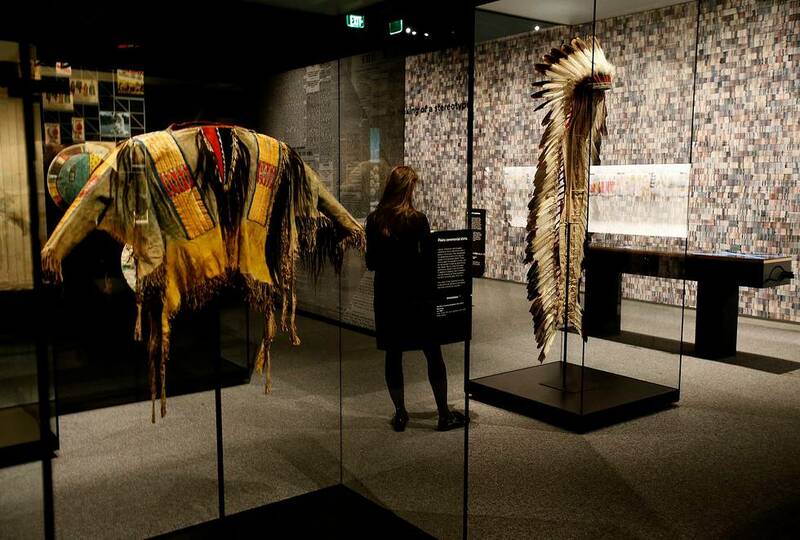 Plains Indian objects on display in the Battle of Little Bighorn gallery of the "Americans" exhibition at Smithsonian's National Museum of the American Indian on Thursday, Jan. 11, 2018, in Washington, D.C. The exhibition will be open to the public on January 18, 2018. 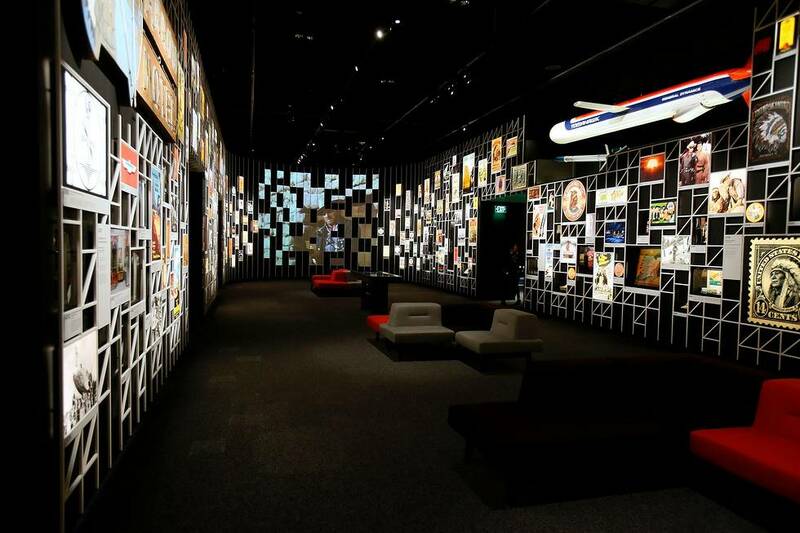 The central gallery of the "Americans" exhibition includes nearly 350 representations of American Indians in pop culture at Smithsonian's National Museum of the American Indian on Thursday, Jan. 11, 2018, in Washington, D.C. The exhibition will be open to the public on January 18, 2018. Get it? Some people thought this was hilarious. 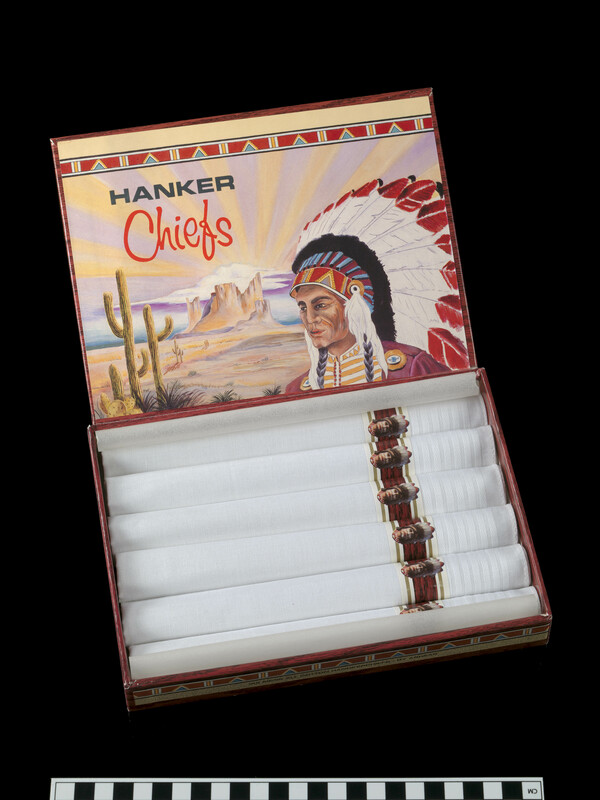 Hanker Chiefs box, ca. 1982. Gift of Lawrence Baca, 2015. Original label part of a private collection. Courtesy National Museum of the American Indian. Before they were replaced by cardboard boxes in the 1960s, wooden boxes bearing colorful designs were used to ship fruit and vegetables. Often the labels featured Native American motifs. 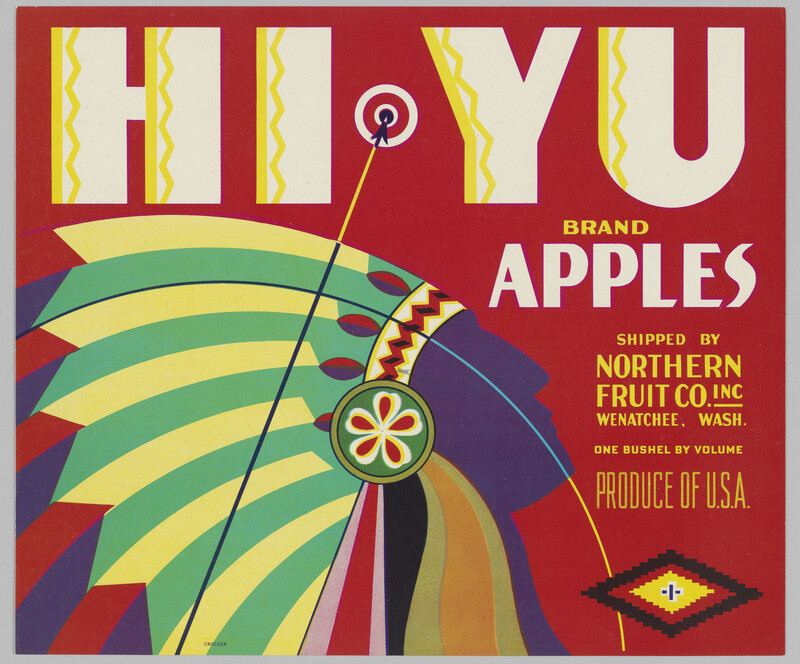 Hi Yu was the name of a brand of apples shipped from Wenatchee, Washington. 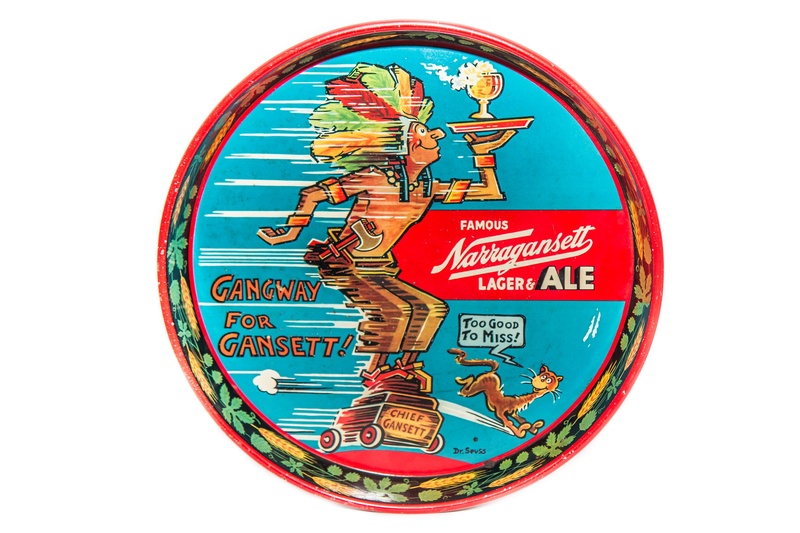 Theodor Geisel, who would later be known as Dr. Seuss, created the cartoon character Chief Gansett in the 1940s for the Narragansett Brewing Company. The character was used in an advertising campaign, but it never appeared on a beer bottle. Chief Gansett beer tray, 1940s. 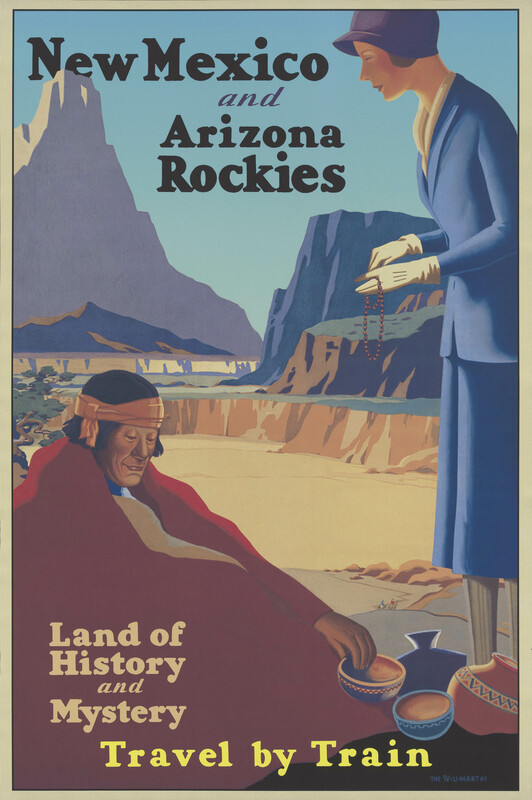 This poster was created to promote the Union Pacific Railroad and to encourage vacationers to explore the "history and mystery" of the Southwest, especially "authentic" Native American trade goods. New Mexico and Arizona travel poster, ca. 1925. 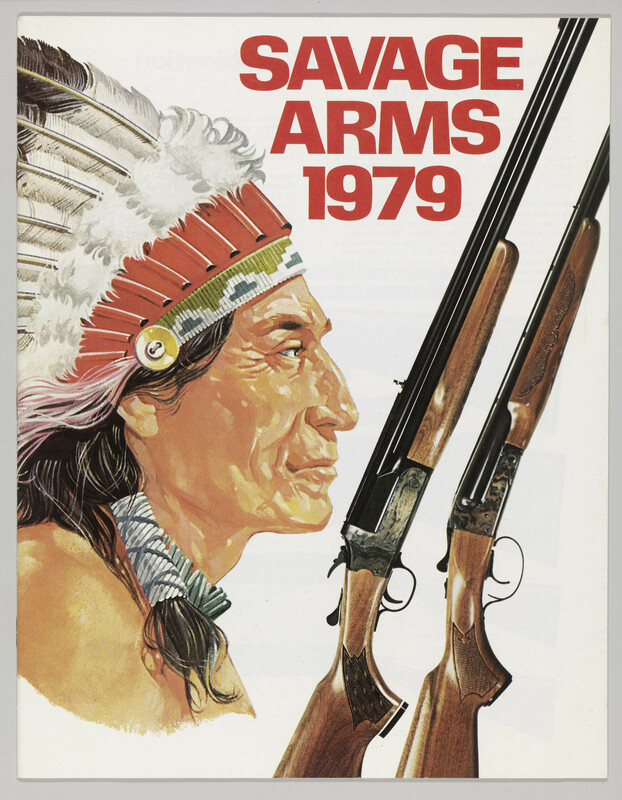 Savage Arms catalog, 1979. Courtesy National Museum of the American Indian. According to Savage Arms company history, its logo was the result of a deal in 1919. An Indian chief named Lame Deer negotiated a discount for rifles. In return he offered his tribe’s endorsement and an Indian-head logo. Savage Arms catalog, 1979. Things aren’t always what they seem. Savage Arms, whose guns are widely used in police departments, is named after its founder, Arthur Savage. 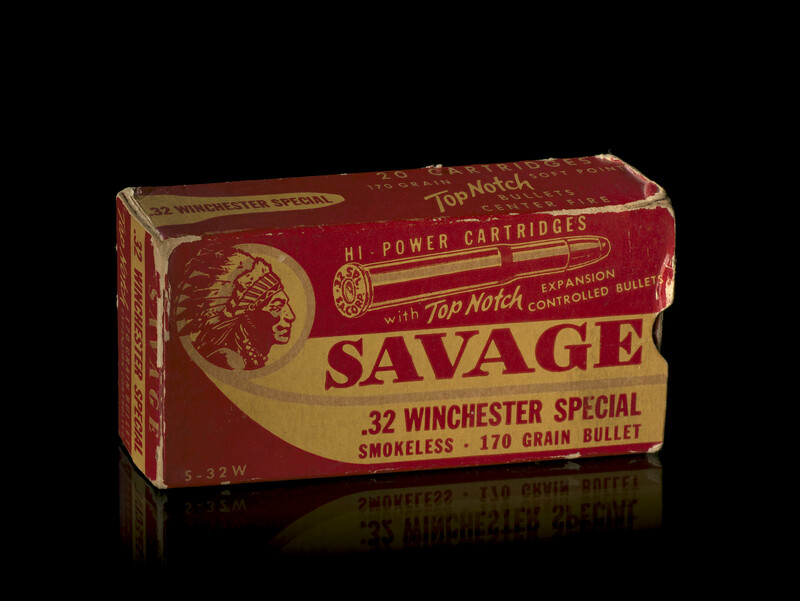 Savage Arms bullet box, ca. 1950. This Squaw Brand canned peas label features a woman and her infant. Native American women are commonly featured in advertising as the gatherers of food. The Centerville Canning Company was using this dated imagery to convey “fresh.” Squaw Brand Choice Sifted Peas label, 1920s.